It might seem strange to call an actor who's starred in a blockbuster romantic comedy, a hit TV series, and a major action franchise "underrated," but for Nicholas Hoult, that's exactly the case. Despite his impressive resume, the actor's had trouble becoming a known name, thanks to his relationship with Jennifer Lawrence — when you're dating a superstar, no amount of indie cred or up-and-coming status will stop you from getting overshadowed. Still, we don't blame him for trying, and trying he is; Hoult has eight movies coming out in the next year, including Young Ones , a futuristic, sci-fi film about a teenager trying to save his family in a drought-stricken land. Young Ones premiered back in January at Sundance, but its first trailer wasn't released until Tuesday. Reviews of the film were mixed, and even from the preview, it's easy to understand why; while Young Ones could be an exciting, innovative, action-packed thriller, it also could just as easily be a confusing, melodramatic movie that relies too heavily on its style and effects. Yet no matter how the actual film is, the quality of its acting seems as good as it gets. Between the performances of Michael Shannon, Elle Fanning, Kodi Smit-McPhee and, of course, Hoult, there's little question that, even judging just by the trailer, Young Ones will be a great showcase for the talents of its likable, compelling cast. 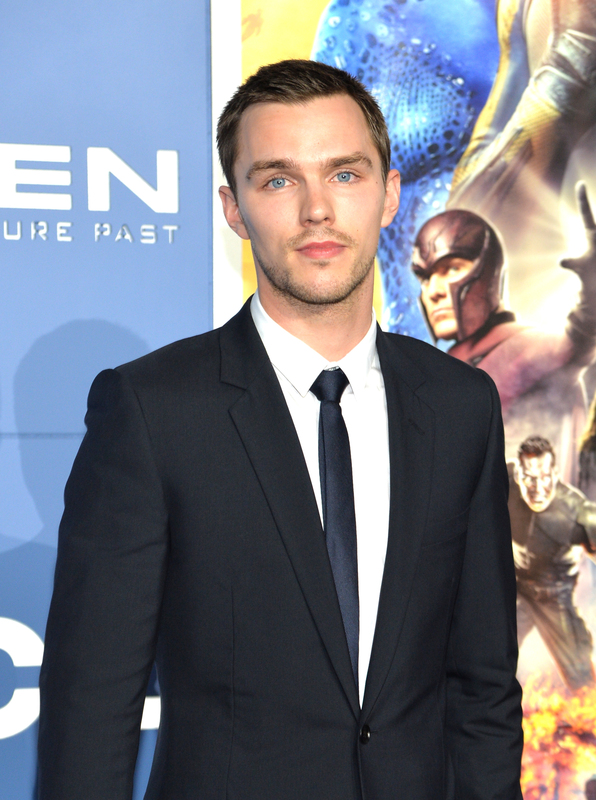 And, hopefully, it'll be the movie to finally make Hoult a star. It's a shame he's not one already, considering the great films on his resume — About a Boy, the X-Men series, the sweet little Warm Bodies — and the high caliber of his performances in them. It's not a surprise, however, considering his ties to Lawrence, an actress whose fame and body of work is bound to overshadow anyone she's close to, even someone with as much promise as Hoult. Young Ones, though, especially when piled onto another highly-anticipated Hoult film, Dark Places , might just be the film the underrated actor needs to get the notice he richly deserves. Even if the movie fails to captivate, Hoult's performance in it should.